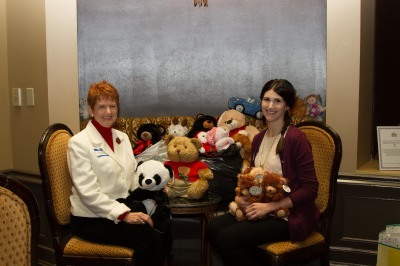 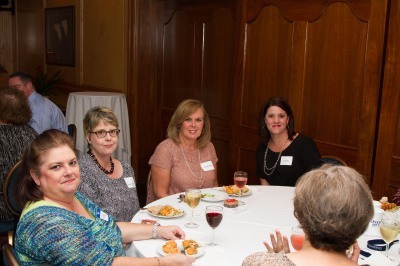 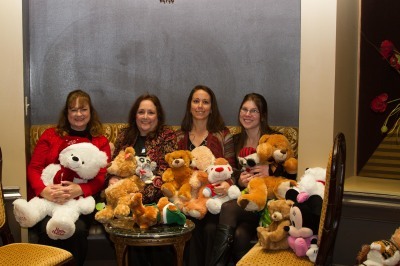 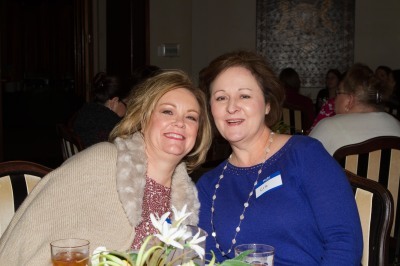 Members enjoyed another fine feast at the City Club and donated a large assortment of bears and other stuffed animals to Hearts of Hope. 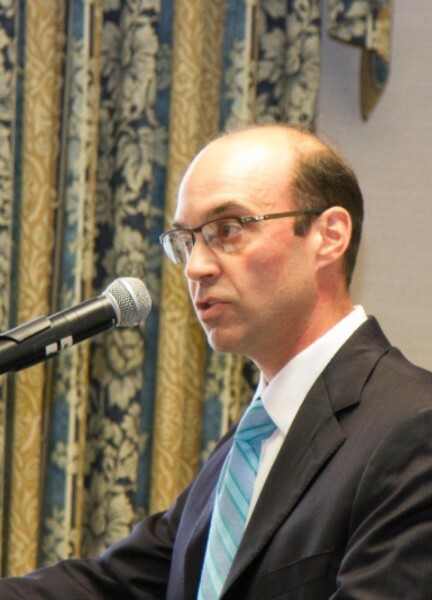 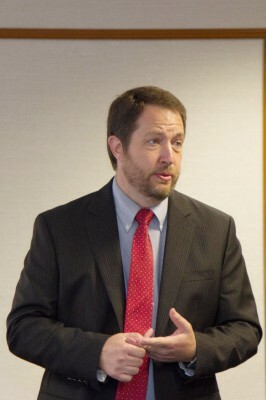 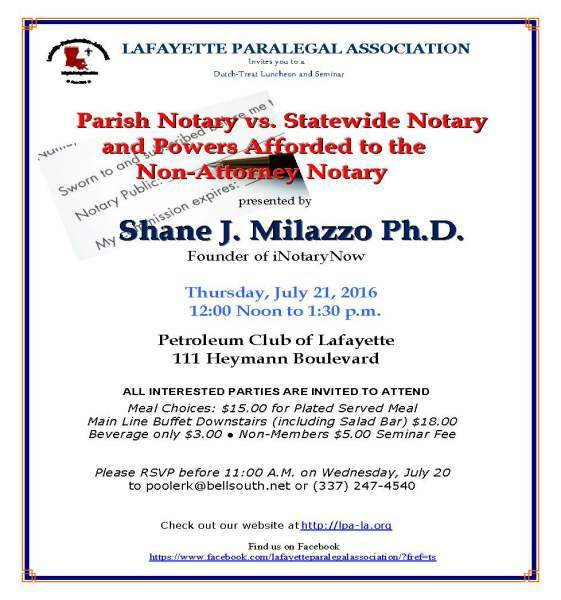 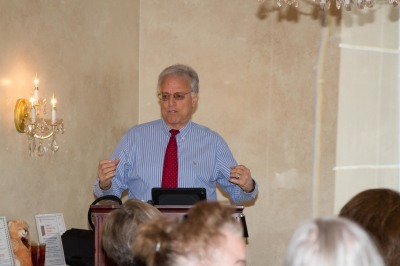 Steven Jankower of Jankower Law Firm, L.L.C. 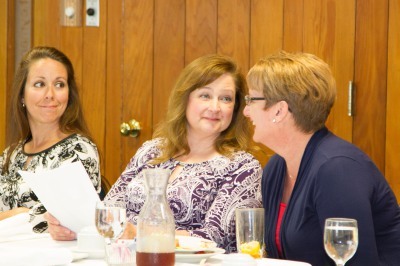 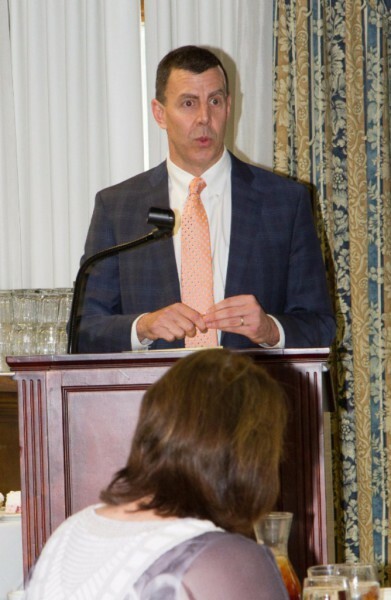 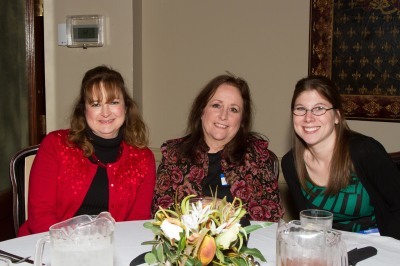 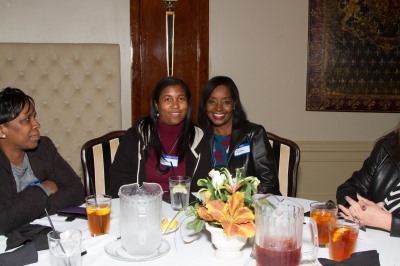 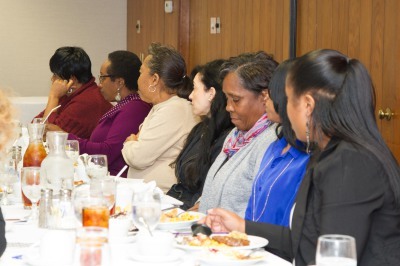 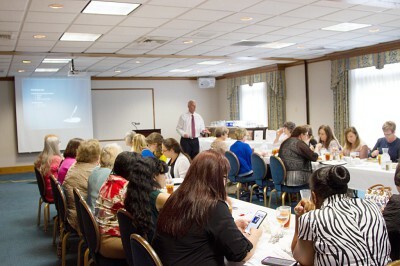 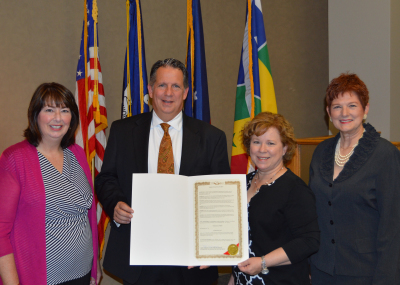 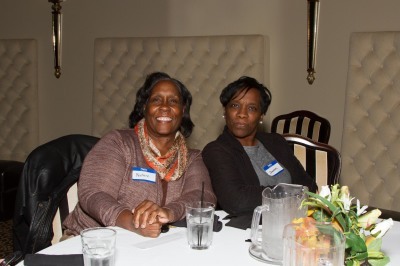 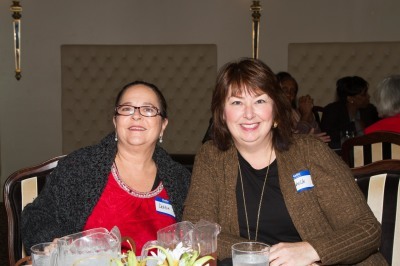 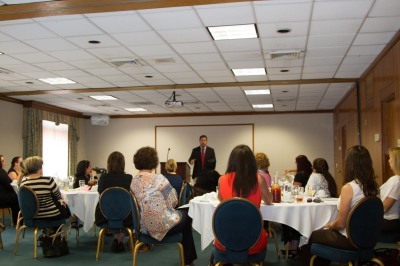 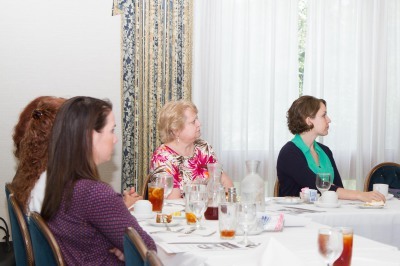 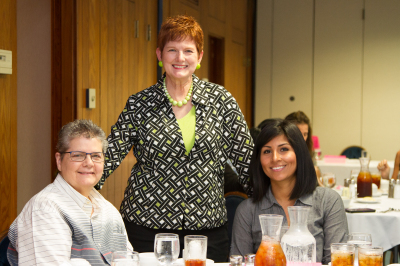 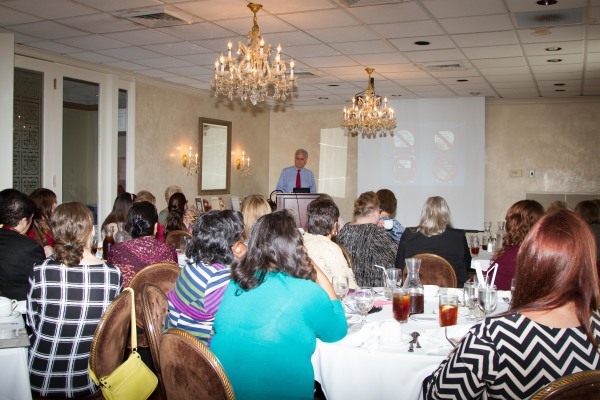 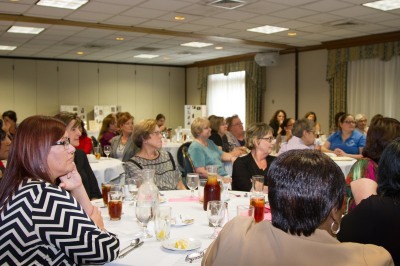 addressed members of the Lafayette Paralegal Association at their November luncheon seminar. 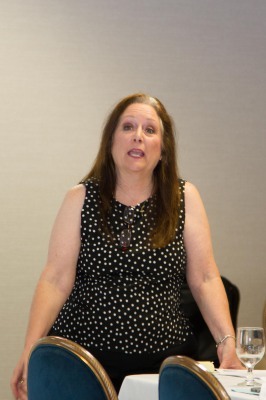 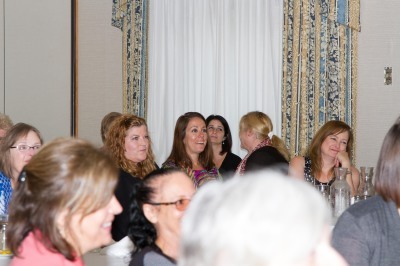 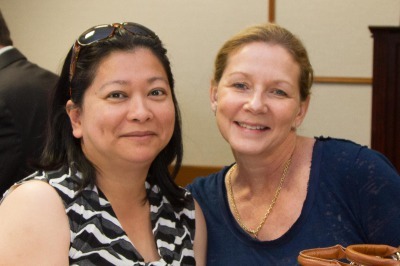 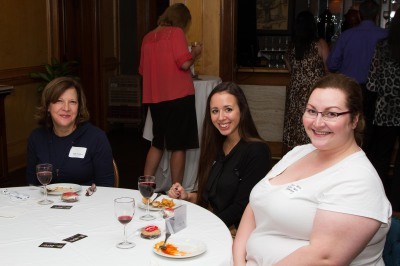 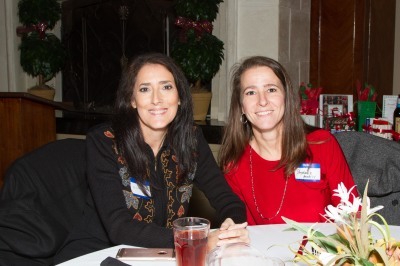 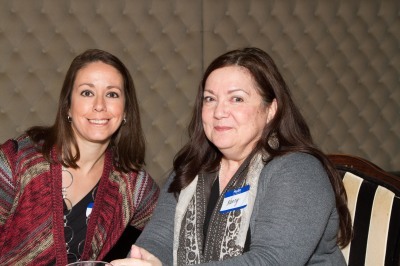 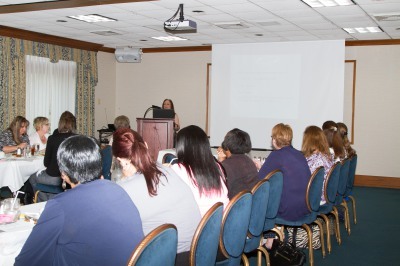 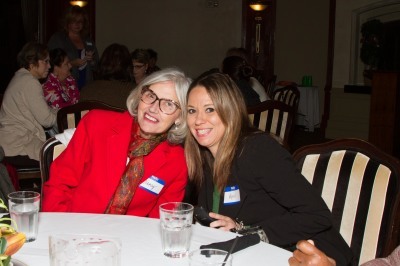 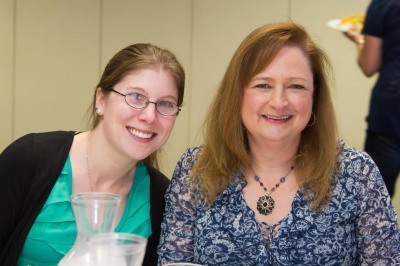 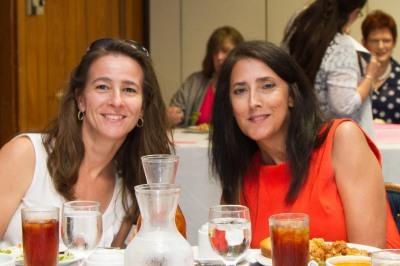 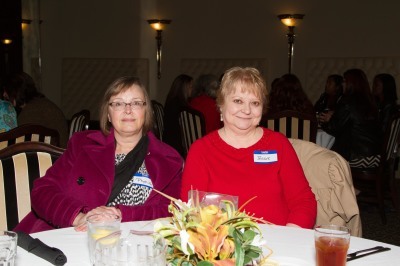 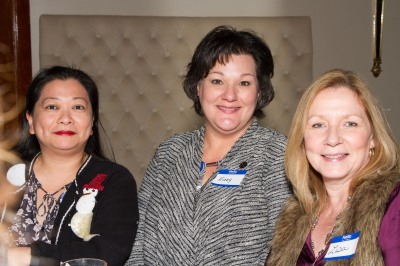 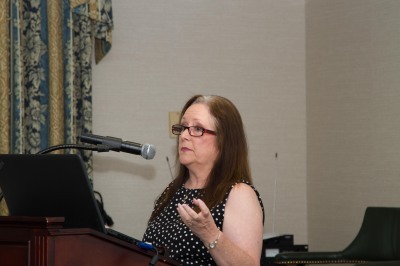 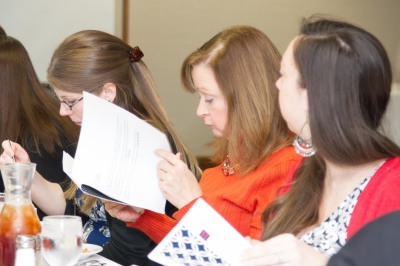 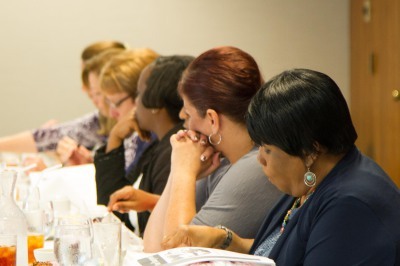 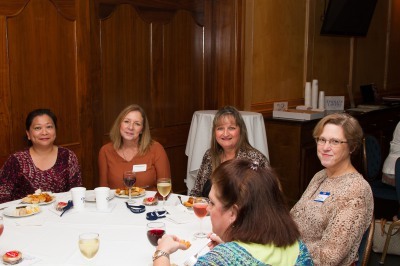 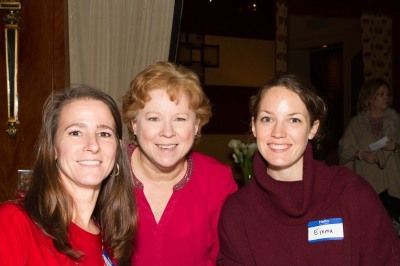 ​Presented by Jo Ellen Livingston, Ph.D.
LPA members enjoyed a presentation by trial consultant Jo Ellen Livingston, Ph.D., a founding partner of Livingston and Shepherd Trial Consulting, LLC. 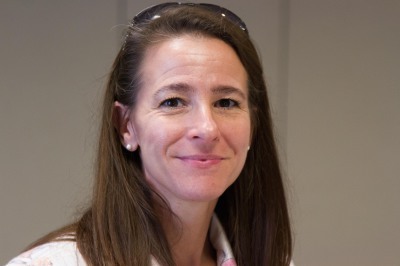 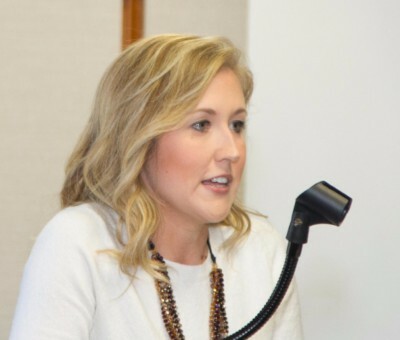 Ms. Livingston has assisted with the selection of many juries during voir dire examination. 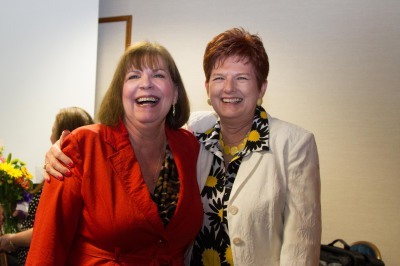 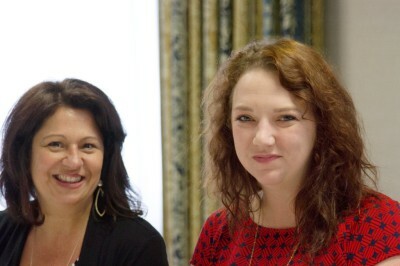 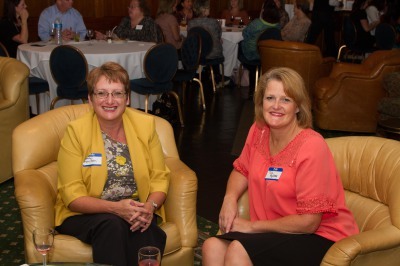 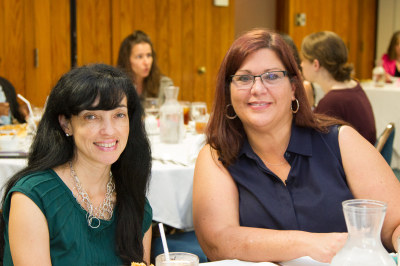 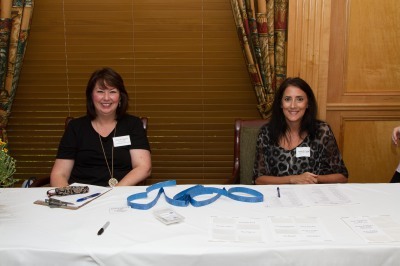 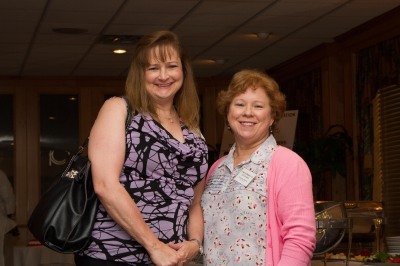 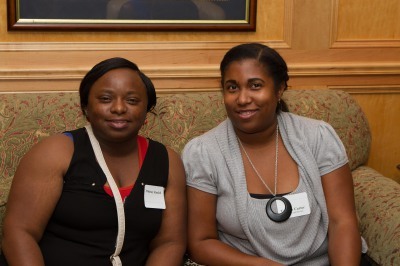 Thank you Heather Vice and Kaye Pooler for organizing such a great speaker! 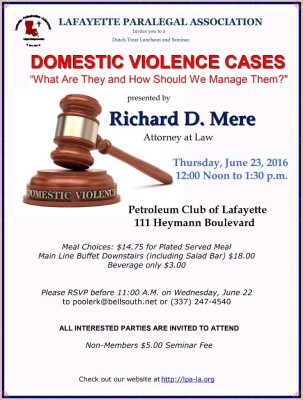 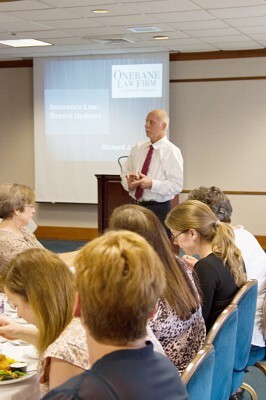 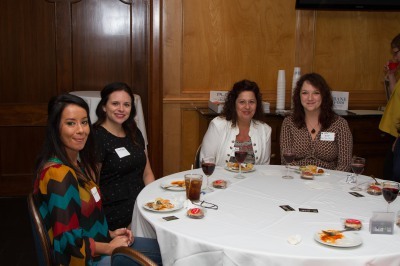 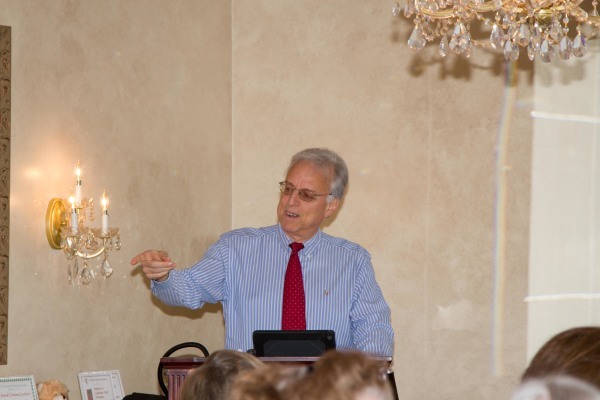 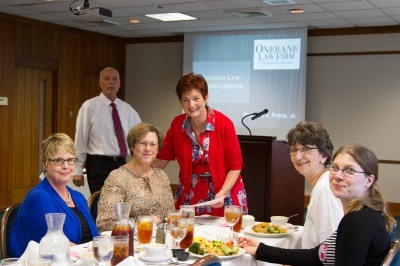 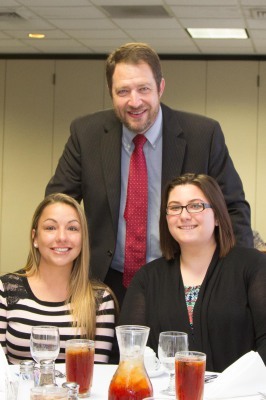 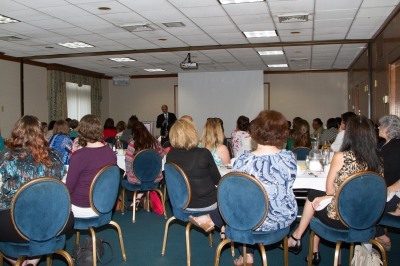 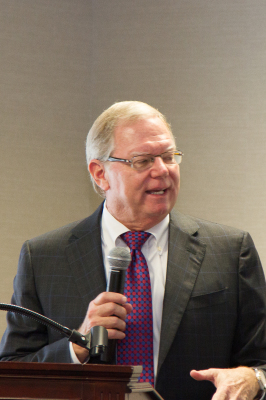 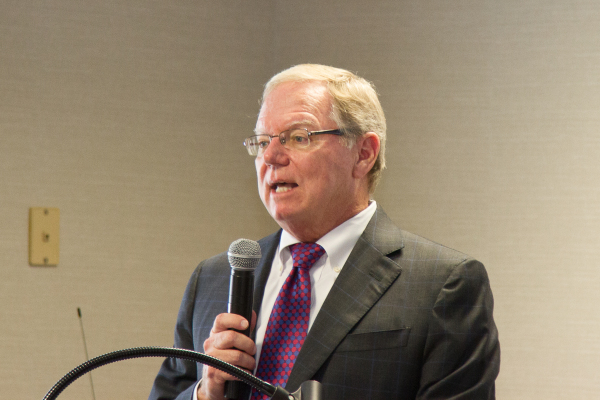 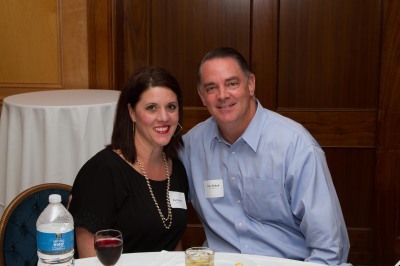 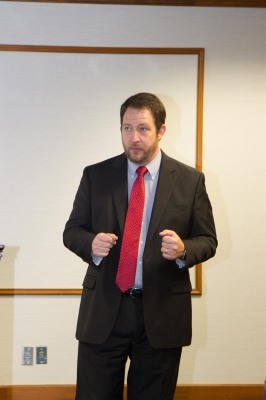 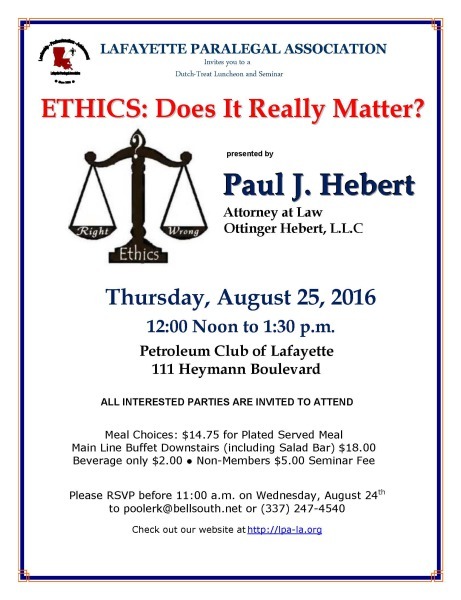 LPA members enjoyed a presentation by Richard J. Petre, Jr. of the Onebane Law Firm. 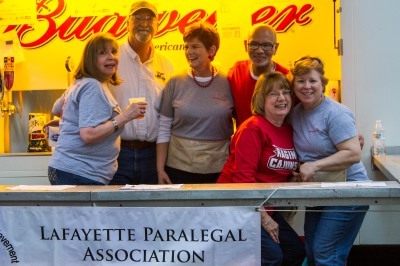 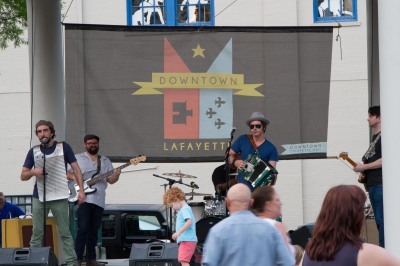 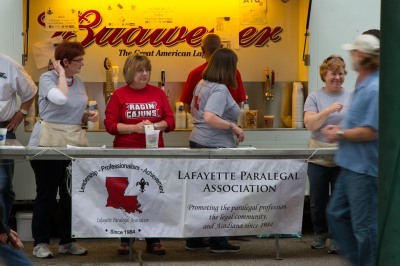 April 8, 2016: LPA members volunteer at Downtown Alive. 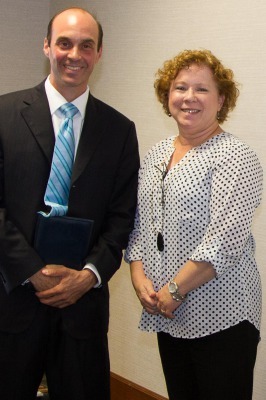 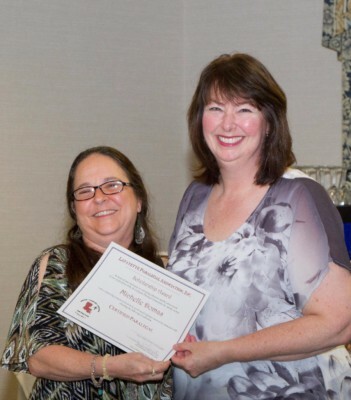 Cheryl Dubois, CP congratulates Kelly Rhodes, CP on passing the NALA certification examination. 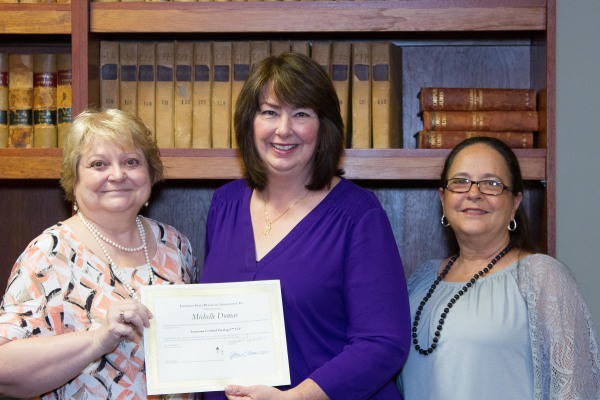 Michelle Domas and Michelle Neef, CP are presented with scholarship awards by Scholarship chair Debbie Fontenot, CP, LCP. 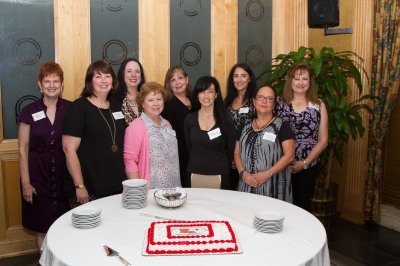 February 25, 2016: Annual Meeting and Installation of Officers. 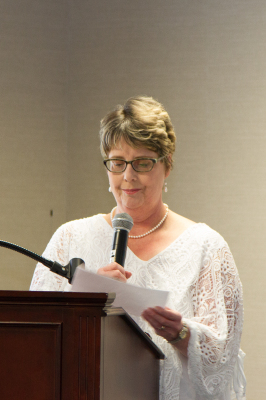 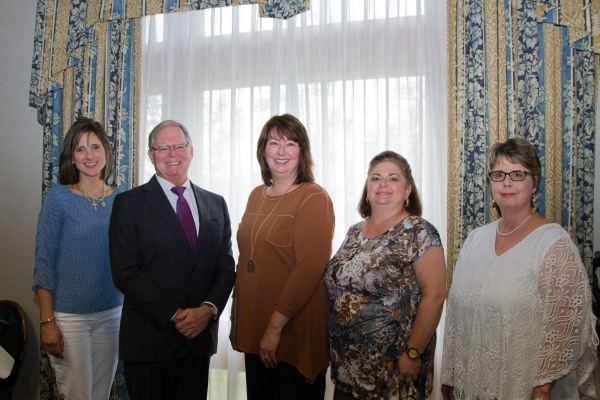 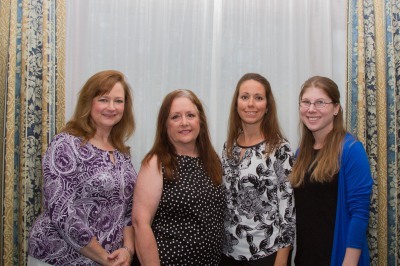 (Left photo) Cathy Bacon, Divisional Manager of the Lafayette Division, USDC, Western District of Louisiana installed the 2016-2017 officers. 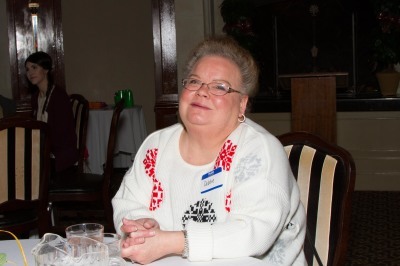 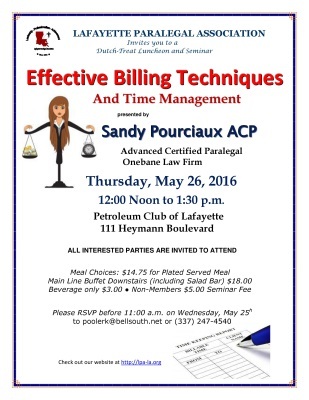 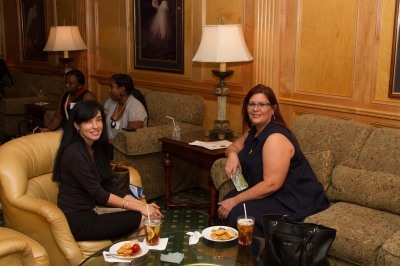 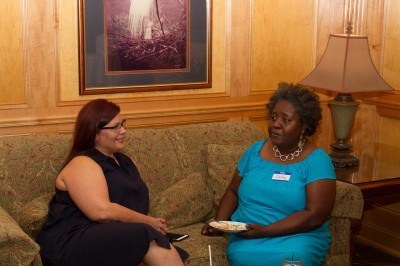 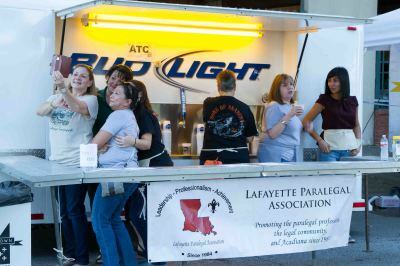 This is a duty Cathy has performed several times for LPA. 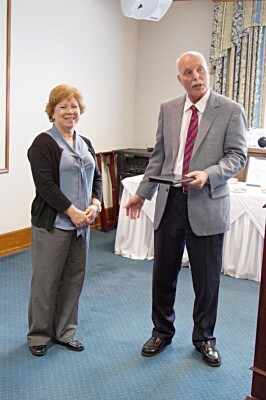 She announced that her retirement as Divisional Manager would be effective February 29, 2016. 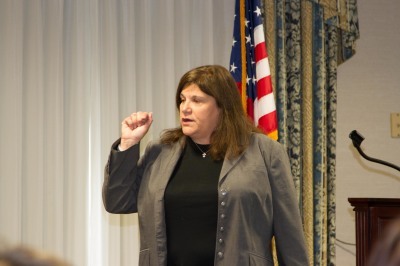 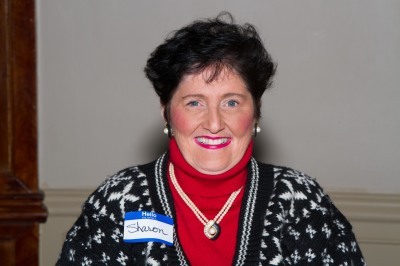 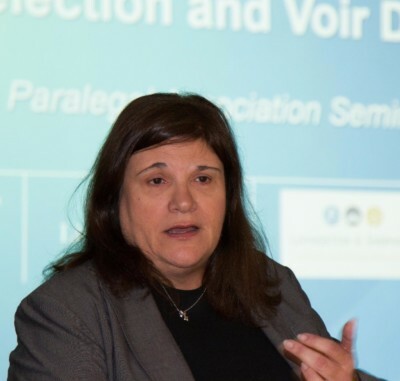 During her term as Divisional Manager she not only assisted at LPA's annual meetings, she attended many LPA monthly seminars, and helped make arrangments for presentations by Court personnel, particularly in connection with topics such as electronic filing and evidence, which took place at the Federal Courthouse with demonstrations in a courtroom environment. 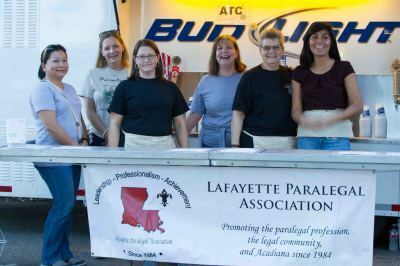 Most of all, Cathy is a friend of LPA and LPA members. 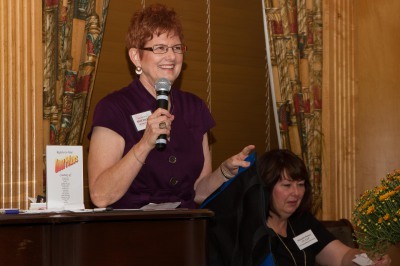 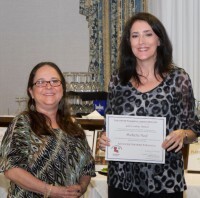 Emma Guidry, CP, LCP, 2015 LPA President, presented Cathy with a certificate recognizing her as a Lifetime Member of Lafayette Paralegal Association. 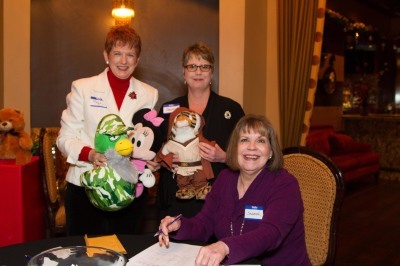 Right photo: Cathy swears in (from left to right) Marilyn Lopez, Secretary, Savannah P. Stephan,CP, Treasurer, Heather Vice, Vice President and Cheryl Dubois, CP, President. 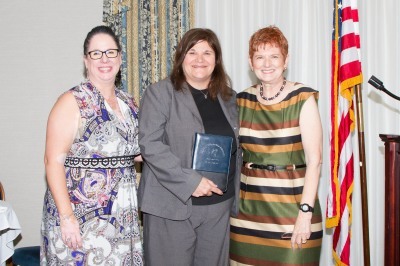 Various LPA members are recognized for their service to the organization by President Emma Guidry. 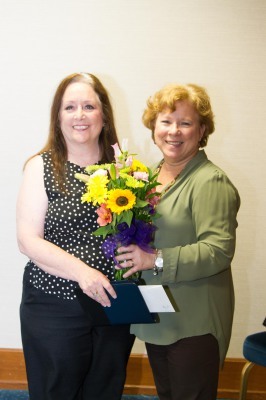 Emma Guidry, CP, LCP, outgoing LPA President, is presented with a plaque commemorating her term, by Lesley T. Simon. 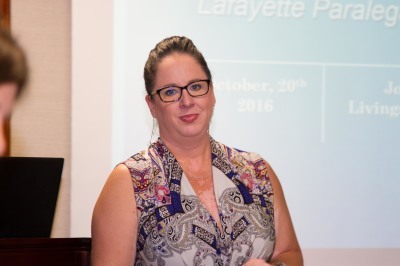 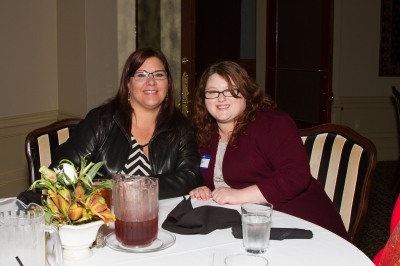 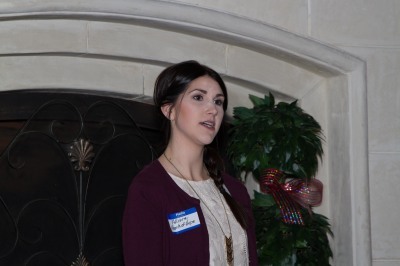 January 28, 2016: Attorney Jessica Byrd Thibodeaux of the Bryson Law Firm addresses the Lafayette Paralegal Association on "IRS Tax Resolution: Real Life Case Studies"